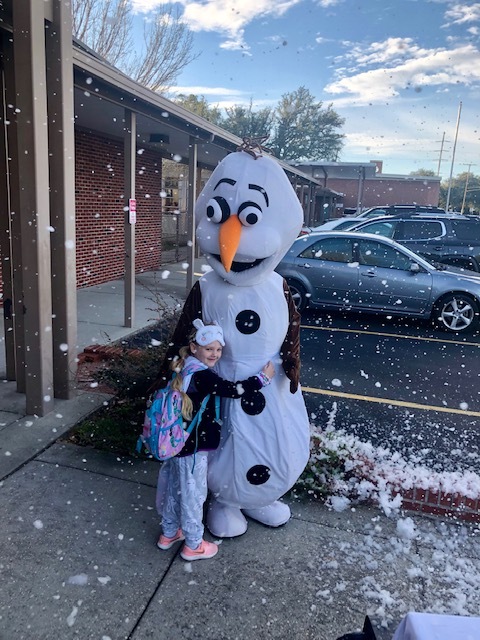 As part of National Catholic Schools Week, OLF Elementary held a special “snow” day for the students. 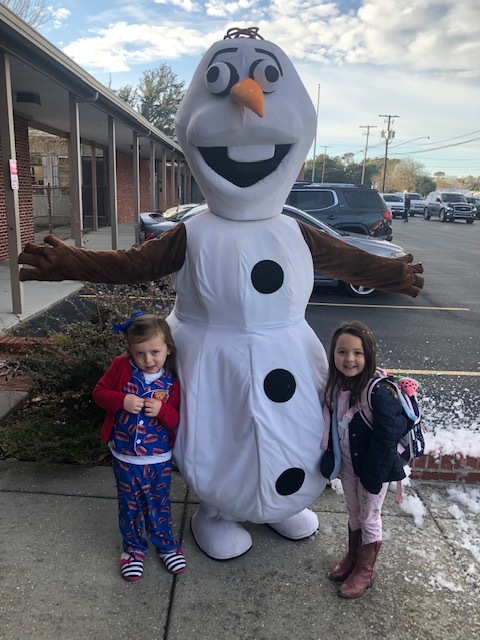 Students dressed in pajamas for school and were greeted by the famous Olaf the Snowman when they arrived at school. “As part of National Catholic Schools Week, we wish to say thank you to the students and the parents who support Catholic schools, said Cindy Hahn, OLF Principal. “We also thank Olaf for stopping by”.